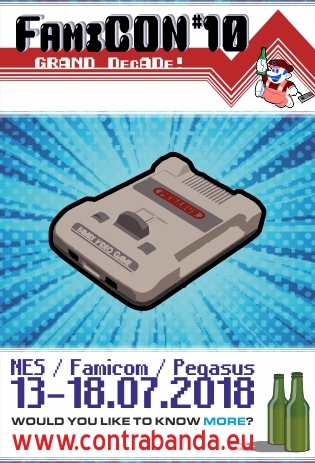 Hey, just wanted to let you all know that there is this little NES/Famicom/Pegasus Party in Poland (since the community in Poland is little) each year during summer break (middle of July) simply called FamiCON and this year (2018) we will going to have an Anniversary. It is 10th time in a row since we started this project! HOWEVER, despite all that potential we are not able to celebrate this anniversary as fully and properly as a scene should without your help guys. We would like to ask YOU if ANY of you wish to participate in a task to prepare and code a demo for our 10th Anniversary Party this year? Even a simple one. There are absolutely no bottom or top limits. Pick up a mapper of your choice and unleash yourself. 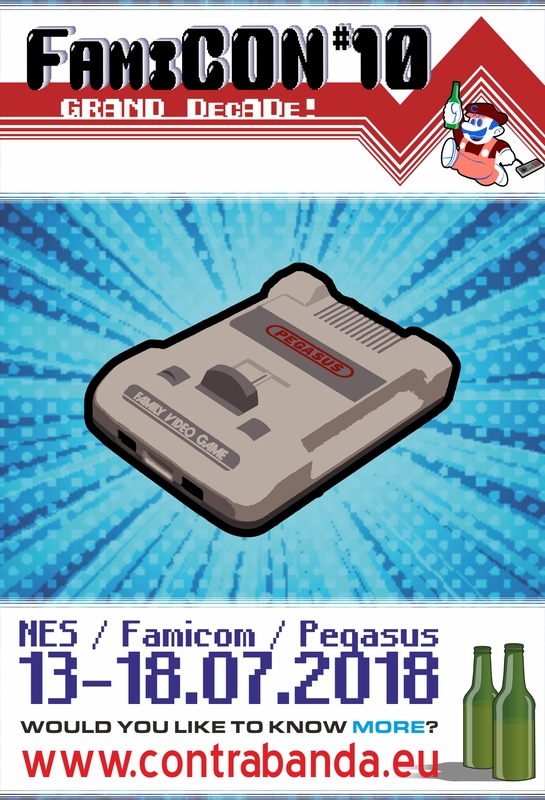 NTSC, PAL, whatever you feel comfortable in. All we urge for is that the demo should run on a real hardware so that we could present it at the party. ETA Deadline is yet to be settled, but let say by the end of June/first week of July. Can we count on your coding mad skillz? Who knows - maybe it's a perfect opportunity to make something like High Hopes part 2? THAT would be AWESOME! Thanks in advance for everyone! OK, party is long gone and it was awesome. I'd like to thanks everyone for participating in this project, it's good to know that we can always count on your support. Laterz.